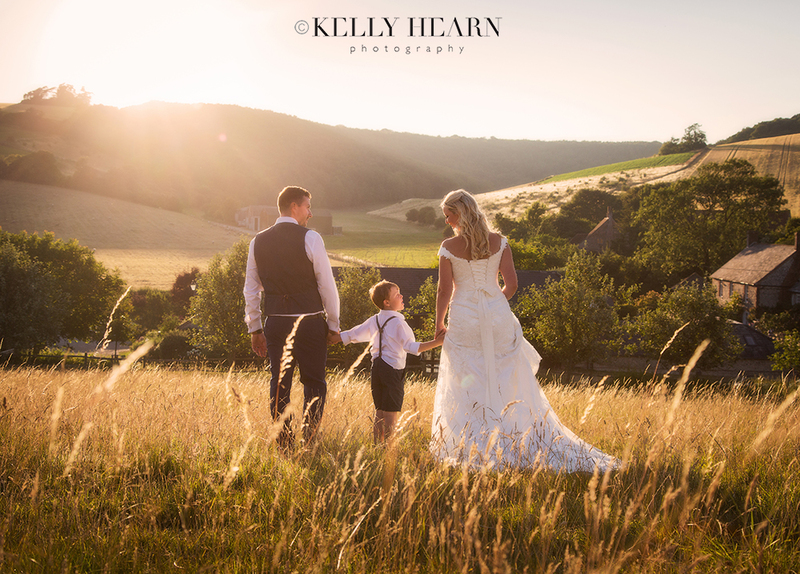 On an idyllic sunny September day, Charlotte and Dom married at the stunning venue of Upwaltham Barns, a gorgeous English country venue set against the rolling hill backdrop of the South Downs National Park in West Sussex. 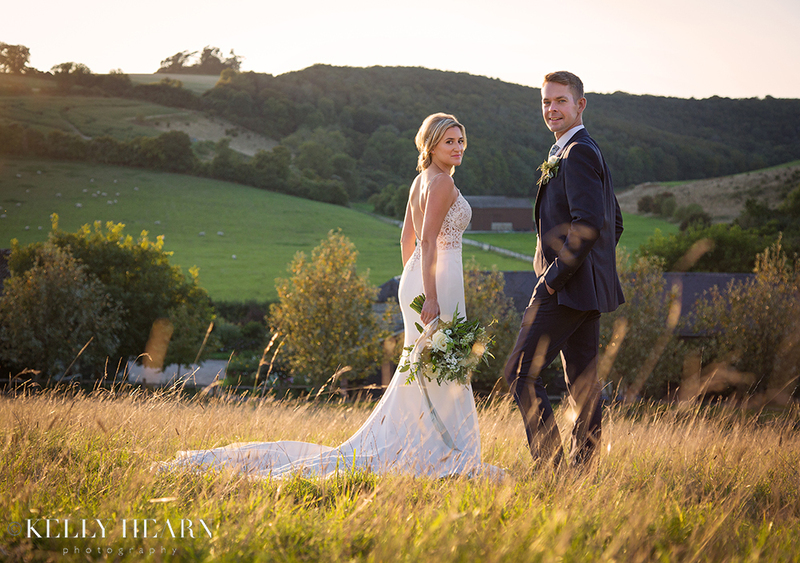 No stranger to these lovingly restored family-owned barns, bride Charlotte, who works for their in-house catering team Nibbles2Nosh, called upon well-loved local suppliers to assist her in creating the ultimate wedding day! Having personally helped hundreds of brides and grooms with the running of their weddings, Charlotte’s knowledge and experience of the industry ensured that all the the ‘i’s were dotted and the ‘t’s crossed on this glorious big day of her own. The barns were full of charming rustic decorative details and the atmosphere perfectly laid-back as this couple enjoyed undertaking the formalities whilst choosing to take a more relaxed approach to some of the other wedding traditions. Stunning flowers, delightful decor, tantalising food and lively entertainment were all exceptional elements, giving me plenty of picture-perfect moments to photograph. It was a joy to capture happy scenes of the bride, groom and their guests enjoying the easy-going ambience in such a beautiful setting and I was honoured to be a part of this special day. 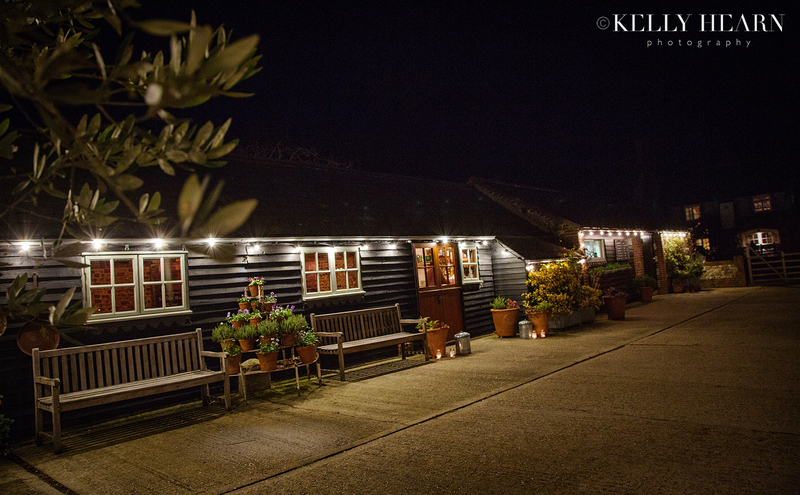 Upwaltham Barns in West Sussex is a beautiful setting renowned for its warmth, friendliness and the personal approach which is offered to each and every couple who choose to hold their wedding day there. Every year couples flock to these rustic barns to secure it as their top choice of wedding venue, knowing it is well sought-after due to its family-run charm and beautifully rustic contemporary style. Full of enthusiasm and vision for what they want their dream wedding day to look and feel like, many couples are very excited to be invited to Upwaltham’s unique in-house caterers Nibbles2Nosh’s Wedding Experience Evening. Ensuring hopes come to life, this brilliant team serve a bespoke tasting menu offering a large variety of delicious dishes, starting with canapés, finishing with coffee and including absolutely everything in between! Also for a hand-picked selection of local wedding industry suppliers, the evening also offers an opportunity to showcase a little of what they can offer to help a couple create that perfect wedding day. A florist, decor specialist, entertainers and more, provide an authentic wedding feel to the Wedding Experience Evening, helping to present the barn at its best and create a relaxed inspirational environment for couples to enjoy tasting, chatting to the staff and meeting other couples in the same boat! Delighted to be asked to capture the event, we at Kelly Hearn Photography, had a brilliant time and were ourselves inspired to see behind the scenes and appreciate all the hard work that went into making this a truly fantastic evening.